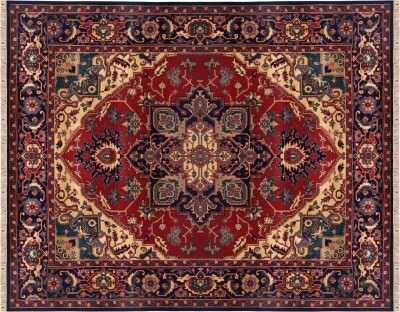 Authentic Oriental rugs are valuable investments in your home decor. Like a fine car, custom rugs need regular maintenance and specific care to maintain their value. Who can you trust in the Lincoln area with your Oriental and custom rugs? Respected Sacramento interior designers, Rytina Fine Cleaners and Allied Custom Upholsterers all refer their clients to Artistic Associates for full-service cleaning and maintenance of premium rugs and flooring. You do not want to discover any of the many ways to ruin an authentic Oriental rug! That is why you are looking for maintenance that you can trust. Artistic Associates has over forty years of in-house experience with Oriental rugs and specific training from the Institute for Inspection, Cleaning and Restoration regarding the science of their care. Wool, silk and traditional Oriental rugs are cleaned and restored in our own specialized facilities. Our workshop enables us to safely inspect and test every rug’s fabric and dyes before proceeding to a complete cleaning procedure. Your rug is carefully hand washed and cared for by us personally every step of the way. Heirlooms deserve careful preservation, and techniques that provide the quality care that you want. Artistic Associates’ eight-step process consists of time-tested routines for maintaining Oriental rugs. At Artistic Associates, we successfully repair damage to rugs from moths and beetles, food and drink stains and even pet urine. Artistic Associates can also provide customized underlayments, an essential component for long-lasting rugs. Our cautious procedures, experienced technicians and in-house facilities are the primary guarantee that your Oriental or custom rug will always look beautiful. In addition, Artistic Associates is fully insured and bonded. Our clients in Lincoln, California call us at 916.483.7400.